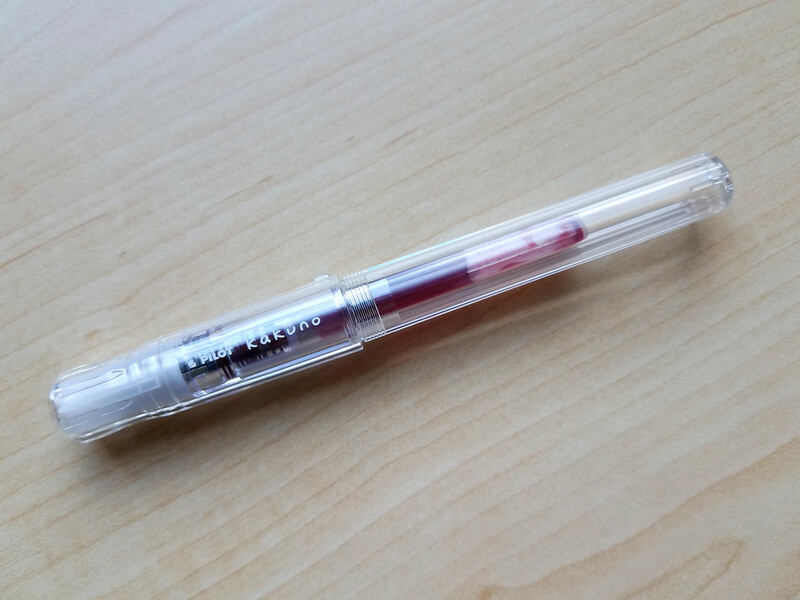 The Pilot Kaküno is a pen that wouldn’t look out of place in the hands of a seven-year-old. It’s chunky and plastic. Its nib has a smiley face on it. Aurora wouldn’t make this pen, nor would Montblanc, and in a time when the majority of fountain pens seem designed for the boardroom instead of the classroom, the Kaküno’s youthfulness makes it stand out from the crowd. But can a pen for kids be any good? Let’s take a look. The Kaküno has been around long enough that volumes have already been written about it. I’m not going to rehash all those reviews — if you’re interested in reading more, I’ve linked to several of them at the end of this post. Instead, I’m going to discuss my experience with the two Kakünos I own. First, some basics if you’ve never seen this pen before. 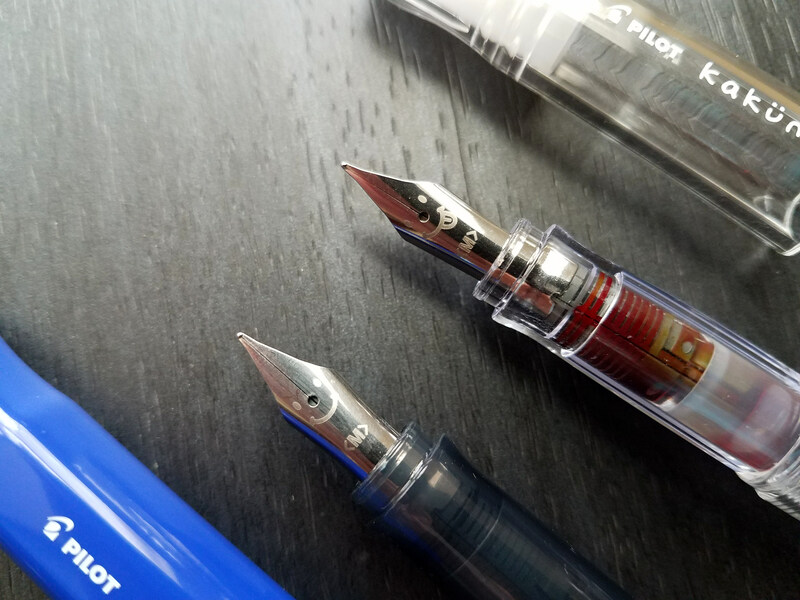 The Pilot Kaküno is a lightweight plastic fountain pen with a steel nib that takes Pilot proprietary ink cartridges or converters. The cap is clipless, but has a roll stop. The section has a rounded hexagonal shape, ostensibly for teaching children the proper grip. THEY PUT A SMILEY FACE ON THE NIB. Most people will either love how the Kaküno looks or hate it. Back in Japan, Pilot sells the Kaküno in a wide array of color combinations. Unfortunately, they’ve chosen not to import all the available colorways to the US. Kakünos with light grey or white barrels and brightly colored caps can be found in the United States for less than $20, and often less than $12. If you want a different color, you’ll have to import it yourself, like I did with this clear version. 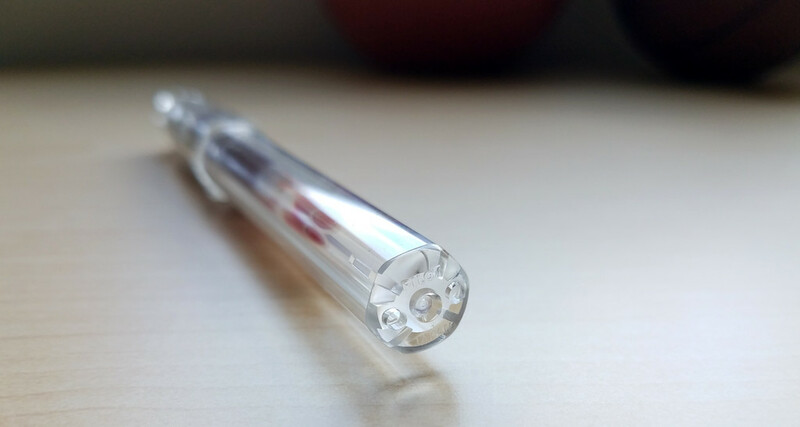 I just can’t resist a clear demonstrator. 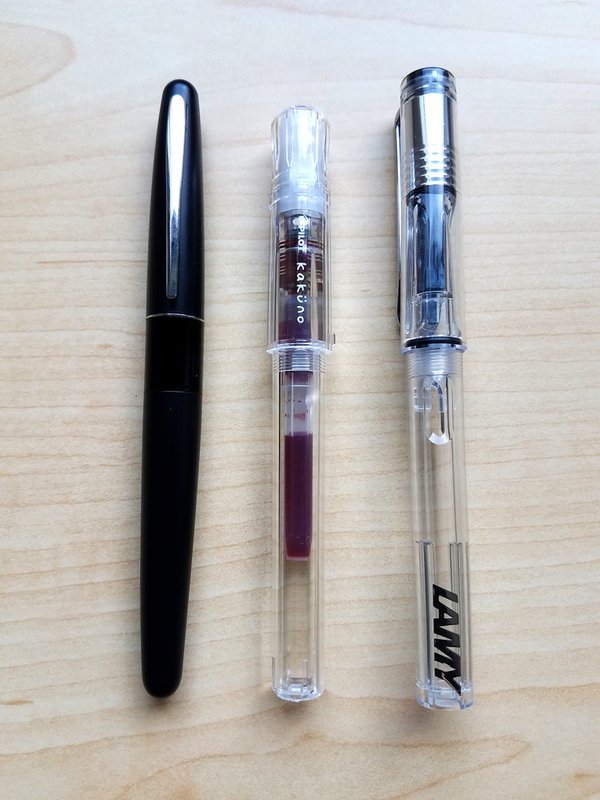 The Kaküno is a compact pen, but when it’s uncapped, it’s comparable in size to the Pilot Metropolitan and the Lamy Safari/AL-star/Vista. As an all-plastic pen, it weighs about as much as a feather in a gentle summer’s breeze, but don’t take that to mean it’s insubstantial. On the contrary, it feels well constructed. 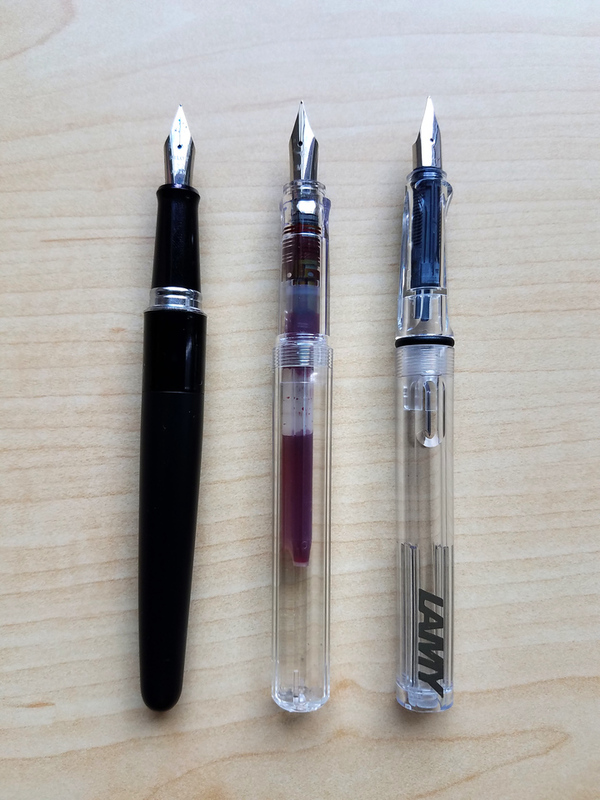 The plastic is comparable to the Lamy Vista’s, and far better than the dollar Jinhaos and Wing Sungs I’ve been playing with lately. “YES THAT’S NICE, BUT HOW DOES IT WRITE?” I can hear you asking. The Pilot Kaküno writes… okay. I know that sounds tepid. But this pen can be a beautifully smooth writer, with a couple big caveats. First caveat: both of my pens needed their nibs to be tuned before they wrote nicely. The first Kaküno I bought had horrible baby’s bottom from the start. Bummer. The second Kaküno isn’t as bad; it writes smoothly, but still has an occasional skip, even with inks that behave well in other pens. Double bummer. I realize that two nibs is a small sample size, but I’ve never had this problem with other Pilot pens. Maybe the factory thinks little kids don’t care about the occasional hard start? The second caveat is the hexagonal section. I use a traditional tripod grip, so much so that the Lamy Safari’s shaped section doesn’t bother me at all. 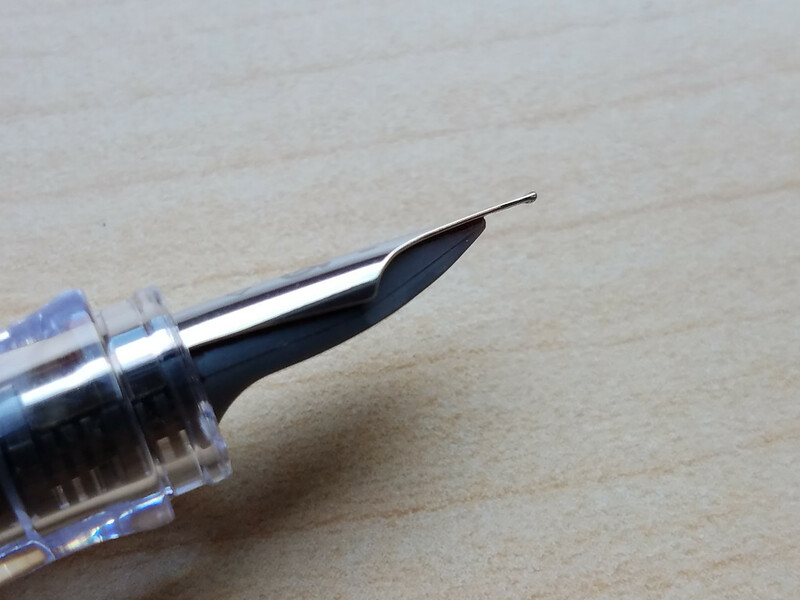 But when I use my normal grip with the Kaküno’s section, the nib is slightly rotated to the left. This means that both tines don’t touch the paper evenly, and the nib is scratchy. 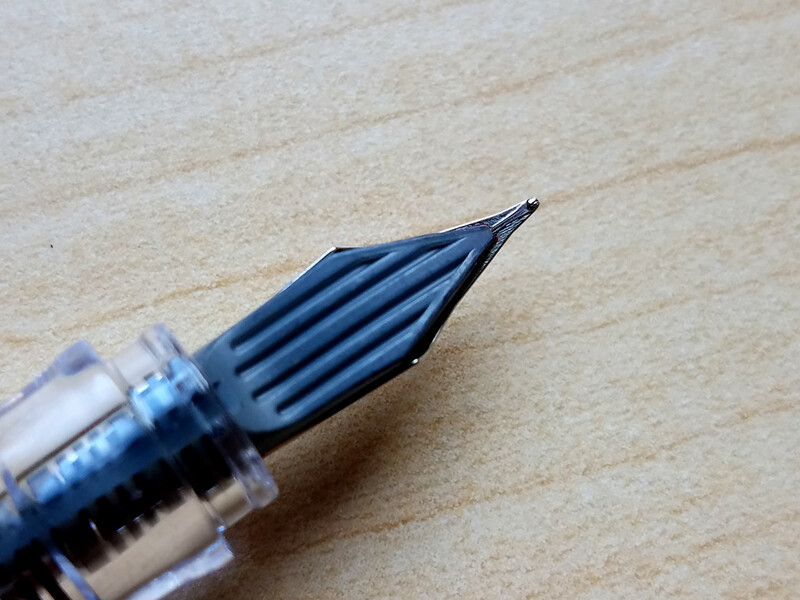 I end up rotating the pen in my fingers, against the shape of the section, in order to find the nib’s sweet spot. I’ve found a grip that works for me, but it’s not comfortable for long writing sessions. 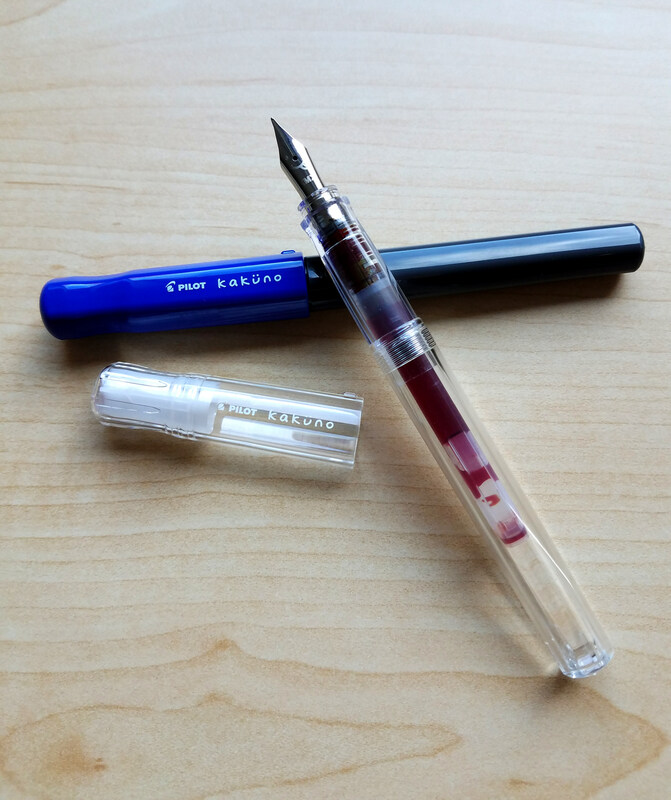 Based on my experiences, I can’t recommend the Pilot Kaküno to beginners as a first pen. However, I do consider it to be a good tinkerer’s pen. Like the nib but hate the section? Swap it into a Metropolitan or a Plumix. Or maybe you’re like me and really love how this pen looks and know how to tune a nib. It’s inexpensive enough to take a chance on, but I recommend trying one in person before you buy. Do you have a Kaküno? Did it write perfectly out of the box? Did I just get unlucky with these two? I paid for both of my Pilot Kakünos with my own funds. My opinions on this blog are always my own. Please see my review ethics statement for more details. I’ve had zero issues with my Kakuno. I bought it with a Medium Nib, but have since switch my Metro Fine nib into it. And now I use the Medium Kakuno nib for ink comparisons and testing. I love the Kakuno, cannot wait to get my hands on a Clear model….maybe in EF. 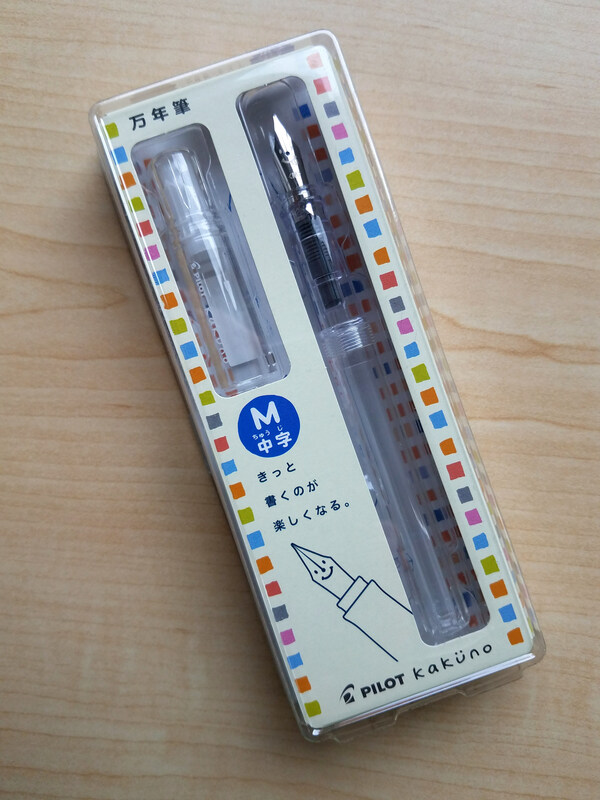 Super Kawaii indeed 😉 I always enjoyed the cheaper Pilot nibs, never had an experience but then again I have yet to try the Kakuno so who knows. One of these days I will get round to it. 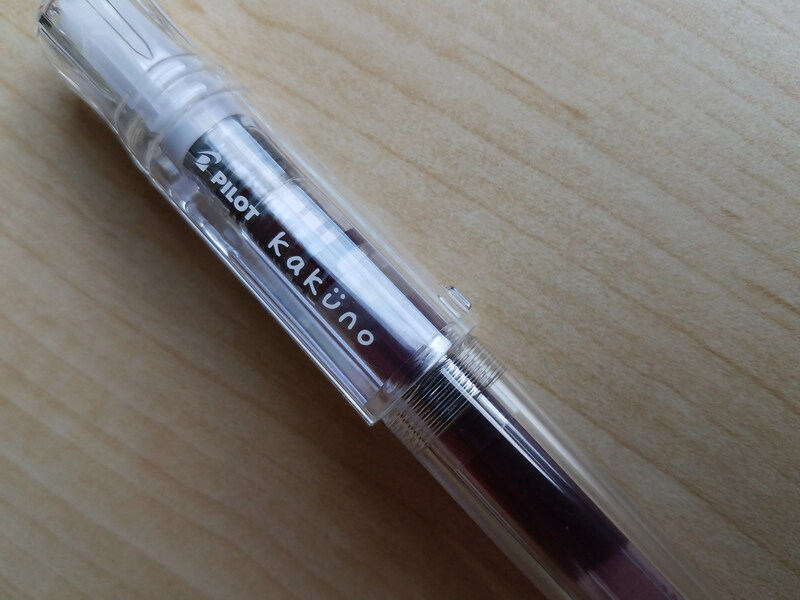 Every Pilot Metro nib I’ve ever used has been smooth as silk, so who knows… There are lots of favorable reviews of the Kaküno so maybe I’ve just been unlucky with mine. My two Kakunos had excellent nibs out of the box. (My one Metropolitan did not.) I really like the Kakuno and the Prera. 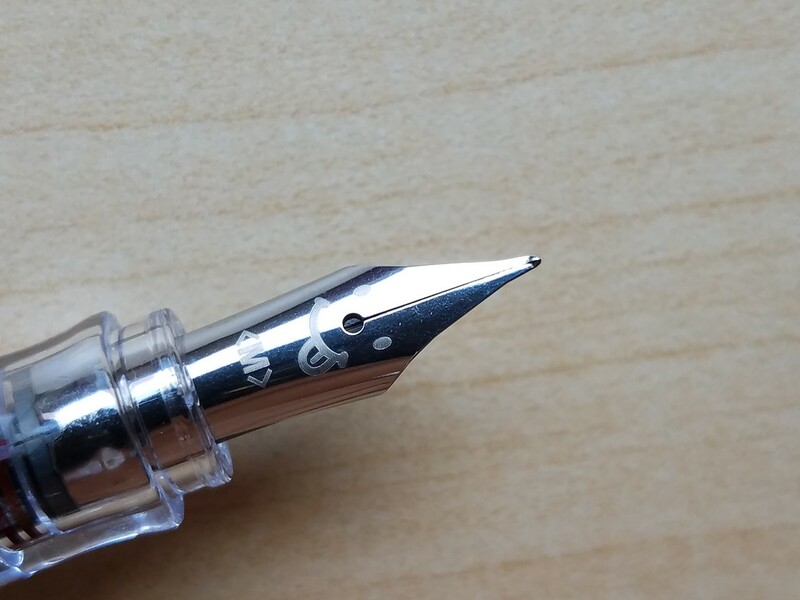 Great review and detailed nib pictures! 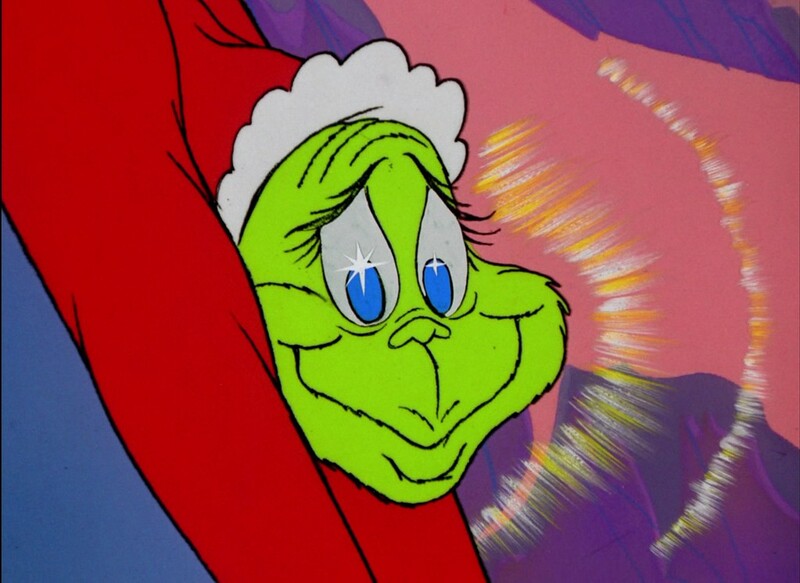 I just ordered one to swap the smiley nib into one of my Lorelei pens.